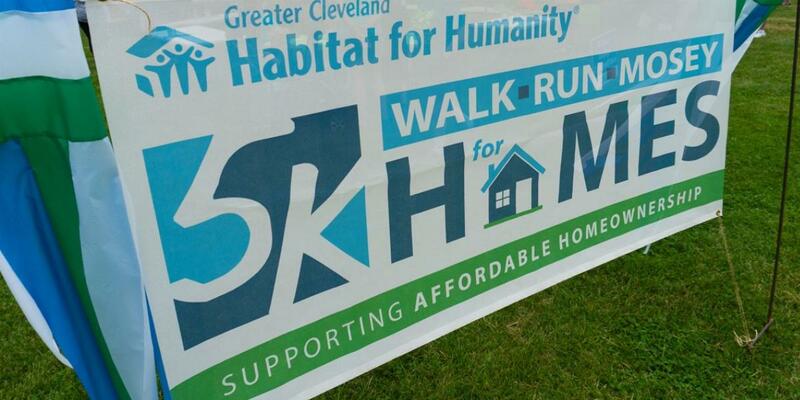 Saturday, June 16th marked Greater Cleveland Habitat for Humanity’s 17th Annual Walk*Run*Mosey at Edgewater Beach to support safe and affordable housing in the area. Members of the Dumpsters.com team—including our unofficial mascot Sophie! —joined in the fun by participating in and sponsoring the 5k. The day started at 8:30 with registration and a T-Shirt decorating contest before the official run. This event is a pivotal fundraiser to help Cleveland Habitat fully-rehab more than 30 homes in the area this year. Once the renovations are complete, Habitat for Humanity connects them to local families in need. Greater Cleveland Habitat for Humanity recently launched a three-year initiative to completely renovate 100 homes throughout Cleveland. The plan is to concentrate on specific streets before moving on to a new neighborhood. They are already 21 homes into achieving their three-year goal, but with each house comes all of the behind-the-scenes legwork, from coordinating volunteers to fundraising the dollars needed. If you’d like to help the Greater Cleveland Habitat for Humanity provide housing for local families, please consider donating to or volunteering for one of the upcoming builds. 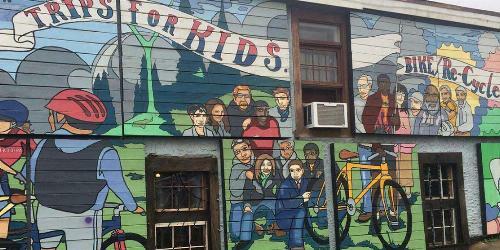 Dumpsters.com is proud to sponsor and provide in-kind donations to organizations who revitalize, sustain and keep their neighborhoods beautiful. Even though we’re headquartered just outside of Cleveland, OH, we are always looking for causes we can support across the country. 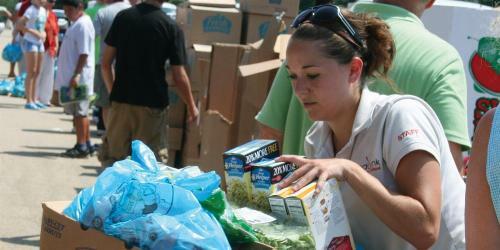 Do you work for a nonprofit organization? Check out our dumpster donation program for your next event. Please note that our dumpster donation program is only open to nonprofit organizations and we cannot always fulfill requests due to availability.